The generational makeup of the workforce is changing rapidly: In 2015, Baby Boomers made up 29% of the workforce, while Generation X and Millennials each made up 34%. But by 2020, Millennials are poised to make up 50% of the global workforce. Even as Millennials dominate the workforce, employees are living and working longer. This means some businesses can soon expect to have up to five generations of employees in their ranks. How will this impact employers? While this shifting workplace environment will allow everyone to benefit from older employees’ industry expertise and younger employees’ familiarity with emerging technologies, it will also require employers to accommodate a wider range of employee wellness needs and expectations. Just as every employee has their own work style, every generation has their own general set of workforce behaviors and motivations, making implementing an employee wellness program a challenge. As employers account for multigenerational diversity in their wellness program, they must consider these five factors. When thinking of health and well-being, most people immediately think of physical health. While many take good health for granted, employees with chronic health conditions can result in a serious drain on both the employee and the employer. Nearly 18% of employees suffer from chronic conditions, resulting in 450 million lost workdays and $150 million in lost productivity. And it’s not just the older generation who’s suffering. As baby boomers age, health insurance becomes their most valuable benefit, according to 67% of those surveyed. Employers whose employees’ ages skew older may find they’re paying more in sick pay, workers’ comp costs, and insurance benefit payouts. Compared to Baby Boomers, Gen Xers are twice as likely to be obese or be diagnosed with diabetes between ages 25-44, compared with Baby Boomers at that age. Millennials are trending to be less active and more obese than all earlier generations. Obesity in young adults has tripled since 1970, and Millennials are reporting both a decline in physical activity and increased levels of infectious diseases. How Wellness Programs Can Help: Good health requires movement—something the office environment doesn’t always encourage. Wellness programs can combat rising healthcare expenses and help get employees moving by offering a range of physical activities, from the use of an employee gym to lunchtime group exercise classes. While unhealthy behaviors might be visible, chronic conditions aren’t. Regular biometric screenings help identify invisible health risks like high blood pressure, high blood sugar, and high cholesterol, helping to prevent chronic conditions from escalating—or even developing in the first place. Money. It seems like we can never have too much of it—and we frequently feel we have to work too hard for it. Paychecks seem to slip through our fingers, going toward expensive mortgages, much-needed retirement accounts, looming college tuition expenses, and costly medical bills. While all three generations share some of the same concerns, they each face unique financial goals and needs. This generation needs to plan for long-term care costs, manage their investments for cash flow after retirement, and begin prioritizing retirement savings over helping family members with college and other expenses. Gen Xers are struggling with paying down existing debts and establishing emergency funds. Now that they’re standing on their own two feet, it’s time for them to arrange sufficient insurance and estate planning protection. They also find themselves struggling to balance saving for their children’s college education and saving for retirement. While Millennials have the most time to start preparing for retirement, they’re concerned about where that money will come from: 60% believe Social Security will be bankrupt by the time they retire and few employers today offer a pension plan. Millennials are also frequently saddled with expensive college loans and the financial burden of starting out on their own. All this proves to be a significant challenge for a generation with minimal money management skills. 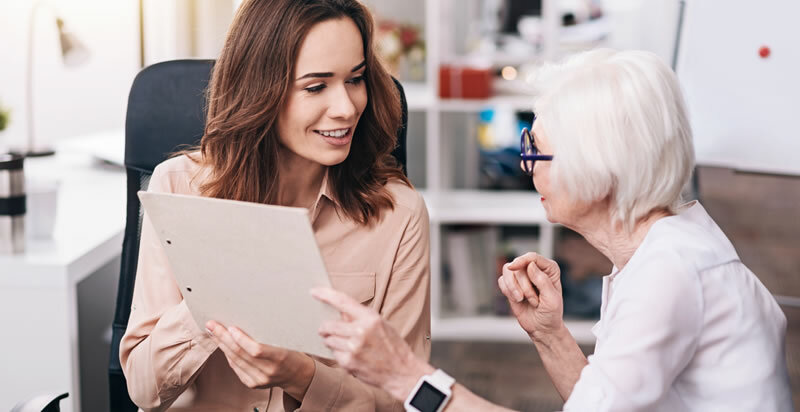 How Wellness Programs Can Help: Help employees of all ages improve their financial health by offering one-on-one financial planning sessions with an advisor or providing a financial helpline for employees to call with specific questions. Employers might also host lunch-and-learns on topics of general interest, like retirement saving strategies and healthcare spending accounts. Employees who feel overworked, undervalued, and anxious about job security are bound to experience stress from their job. And that stress is one of the most significant contributors to employee burnout, which can quickly creep from an employee’s work life to their personal one. How and why that stress arises, though, can vary depending on generational factors. Baby Boomers tend to spend long hours at the office—even working nights and weekends to tackle their responsibilities. Their commitment to career and company means they persevere through challenging situations, but this dedication often comes at the expense of personal relationships and a feeling of hopelessness at not being able to accomplish all that’s expected. With a dedication to their career rather than their workplace, Gen Xers are learning from the occupational mistakes of the work-centric Baby Boomers. This generation instead values the separation of work and personal life and feels at liberty to change jobs to fulfill their desire for variety. Because job security is no longer guaranteed, they try to learn as many skills as they can in one job before moving to another. Commitment to family, friends, and community service means Millennials are looking to make an impact and effect change through their work—but on their own flexible schedule. Surprisingly, younger employees tend to experience higher levels of burnout than their older colleagues, perhaps due in part to the “reality check” of entering the workforce and unfamiliarity with navigating workplace issues. Stress also arises from the reduced job security and increased layoff risk in today’s business environment. Even those enjoying flexible work schedules as part of the gig economy aren’t immune to job-related anxiety, as Millennials wonder where their next job is coming from. How Wellness Programs Can Help: Because employees spend so much of their time at work, employers must foster an environment that prevents burnout, promotes employee development, and encourages retention. Offer employees the opportunity to recharge—in designated quiet areas, through instructor-led meditation sessions, or through complimentary lunchtime massages. Give every employee the opportunity to learn new skills, whether via computer-based training, seminars, or even shadowing employees in other positions. To have a roaring fire, you need to feed it with the right fuel. For peak performance, employees need to feed their body with the right food. The problem is, they don’t always know what that is, or how to fit healthy choices into their busy lives. What each generation has learned about nutrition can have a dramatic effect on their wellness. This older generation may have been raised on less-than-healthy foods—high-fat, high-calorie “meat and potatoes” meals—that may contribute to health problems down the road. Not only are Gen Xers more likely to cook at home than eat out, but the men of this generation are also more involved in cooking meals than their Baby Boomer counterparts. While they tend to have little understanding of the impact of genetically modified food, they’re more conscious about selecting and using organic ingredients. Although Millennials prefer to seek out specialty shops and local farmer’s markets when they do their grocery shopping, they’re also the most likely to eat out at restaurants. They’re the generation that spends the highest percentage of their budgets on prepared and convenience foods, which means they’re not always making the healthiest choices. How Wellness Programs Can Help: When the body is well-nourished, it runs more efficiently and is better prepared to fight disease and slow the aging process. That means energy and focus increase, mood improves, and people just feel better. Help employees make good choices by offering healthy alternatives in cafeterias and vending machines, hosting in-house cooking classes, or arranging for a trip to the grocery store with a nutritionist to learn about reading ingredient labels. When it comes to depression, 50% of Millennials say they’ve experienced depression, compared with 39% of Gen Xers and 29% of Baby Boomers. There are other common fears that each generation experiences that, if not addressed, may lead to a decline in productivity, job satisfaction, and retention. As Baby Boomers try to stay connected to the workplace and add value, they can feel they’re being displaced by the younger generation and losing touch with evolving technology. For job-focused Baby Boomers who link their work to their identity, this fear of irrelevance can lead to feelings of genuine loss, anxiety, and possibly even depression. As Gen Xers grow into leadership roles in their organizations, increased job pressures combined with the task of balancing a complex family life (raising children while caring for aging parents) can leave them feeling like they’re being pulled in multiple directions. With so many demands on their time and energy, Gen Xers can easily find themselves wondering if their efforts will ever be good enough, which can quickly trigger mental health issues. Approximately 7% of Millennials have received a diagnosis of major depression in the past 12 months, while 9% suffered from depression, generalized anxiety disorder, or panic disorder in the same period. Many employees also suffer from being perfectionists, resulting in emotional turmoil when they’re unable to achieve the lofty goals and maintain the high standards they set for themselves. Always-connected Millennials can also experience emotional exhaustion from the constant social media bombardment of news and current events. How Wellness Programs Can Help: Consider offering opportunities to gather and talk about common challenges, or even launch a phone-in assistance program. Fostering an atmosphere of open communication and teamwork can also help promote emotional well-being throughout the workforce, as can offering understanding and support when an employee is experiencing mental health issues. Wellness is no longer narrowly defined as just physical health; it now includes dimensions like emotional, social, occupational, and financial health. That’s why the most successful wellness programs are those with a variety of inclusive activities and goals that engage each employee. By accommodating individual needs and preferences and helping employees of all ages develop healthy habits, employers gain happier and healthier employees, reduce absenteeism and presenteeism, and improve productivity . When you’re ready to develop an employee wellness program that focuses on forming new habits and helping employees thrive and grow, download WellRight’s free ebook, “8 Ways to Foster Employee Growth and Engagement With Your Wellness Program.” We’ll show you the eight factors for wellness programs that drive personal development, and we’ll share insider tips for integrating each factor into a strategic wellness program.